Price $12.00 CAD each + Shipping + GST/HST (Canada only) for English edition. The Canadian Lumber Grading Manual is a training manual that has been compiled solely to assist students to learn, with classroom instruction, conventional lumber grading practices. It is not intended as a replacement for the National Lumber Grades Authority (NLGA) Standard Grading Rules for Canadian Lumber and must not be relied upon except as an instructional aide. 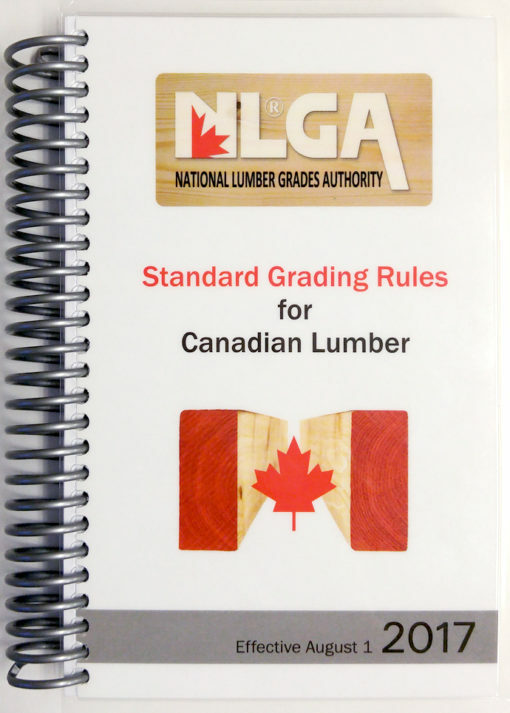 The NGLA Standard Grading Rules for Canadian Lumber may be amended from time to time and accordingly where there is a conflict between it and this training manual, the NGLA Standard Grading Rules for Canadian Lumber will govern.